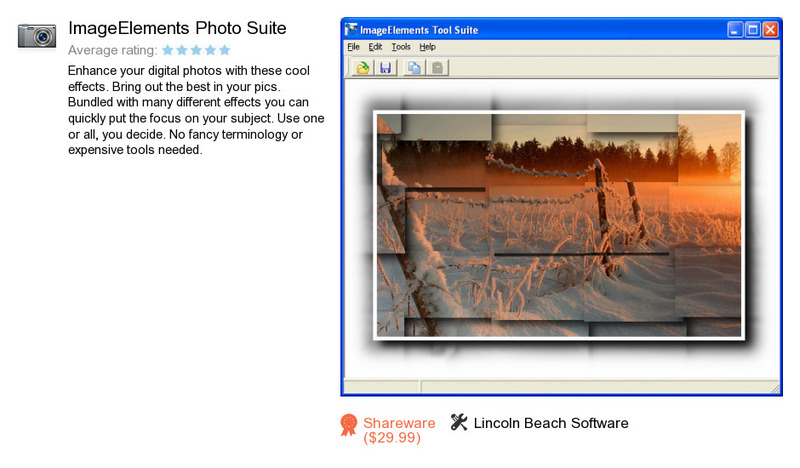 ImageElements Photo Suite is a software program developed by Lincoln Beach Software. We know of version 1.6. Version 1.6 is available for download at our site. ImageElements Photo Suite installation file has a size of 10,486,595 bytes. Lincoln Beach Software also publishes Life Poster Maker and Startup Guru.